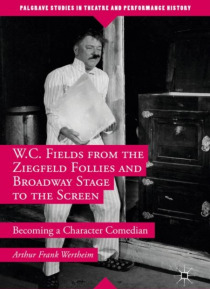 This book reveals how Fields became a character comedian while performing in Broadway's most illustrious revue, the Ziegfeld Follies.As the first biography to use the recently opened Fields Papers at the Motion Picture Academy, the book explores how Fields years as a Follies entertainer portraying a beleaguered husband and a captivating conman became a landmark turning point in his career, leading… to his fame as a masterful film comedian. The book also untangles a web of mysteries about Fields's turbulent private life, from the heartrending stories about the tragic relationship with his calculating wife who refused to divorce him, to his estranged son controlled by his mother, to the seven-year extra-marital affair with a chorus girl that led to the birth of an unwanted child.This electrifying saga illuminates a complex dual personality, whirling from tenderness to brusqueness, who endured so much anguish in order to bring the gift of laughter to millions. Although vilified by Ziegfeld and assailed by demons, Fields survived the cutthroat rigors of Broadway show biz to become a legendary American iconoclast and cultural icon.